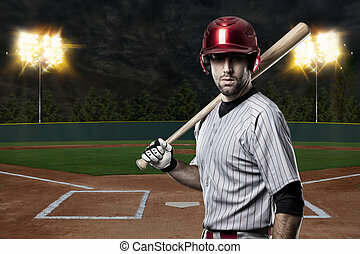 Baseball player on a blue uniform on baseball stadium. 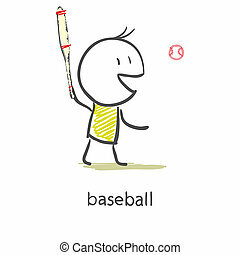 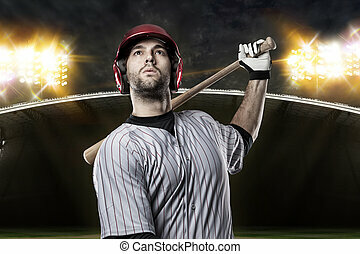 Baseball Player on a baseball Stadium. 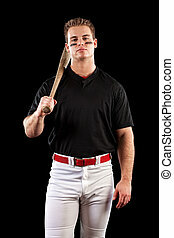 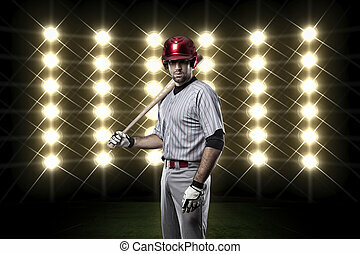 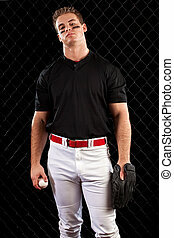 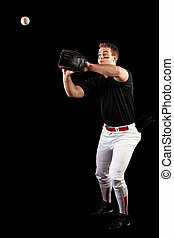 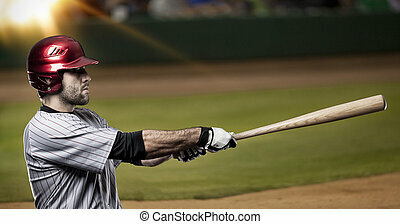 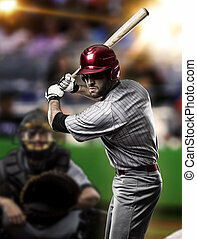 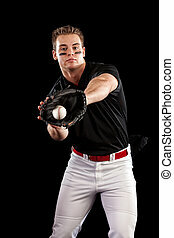 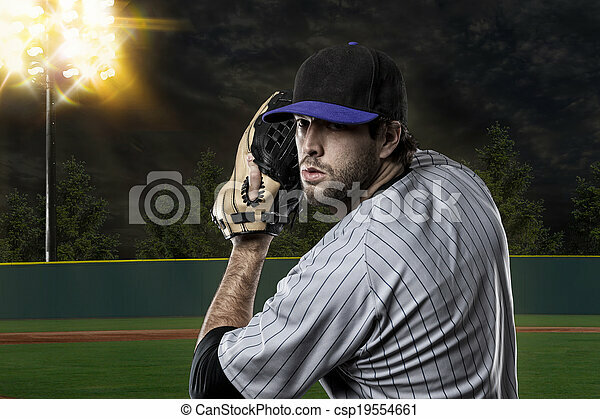 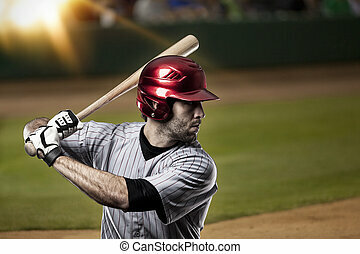 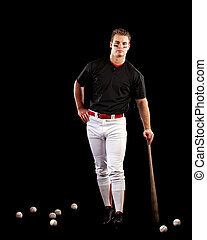 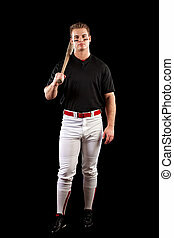 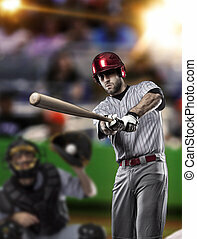 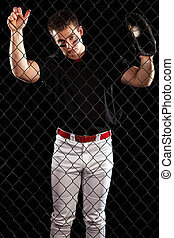 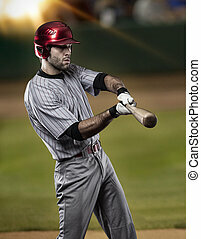 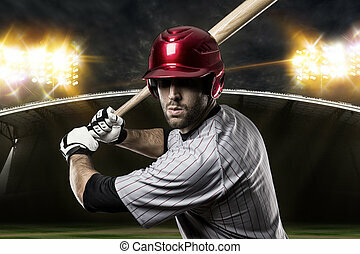 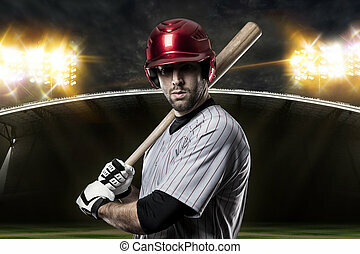 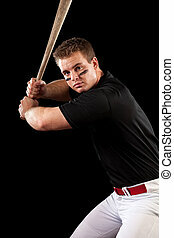 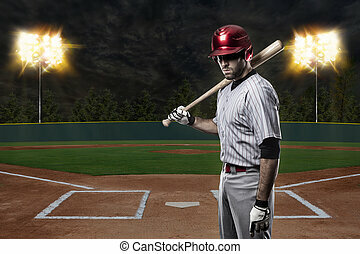 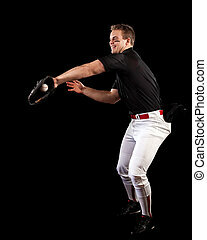 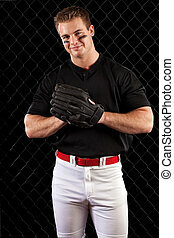 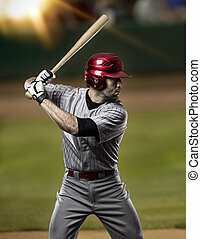 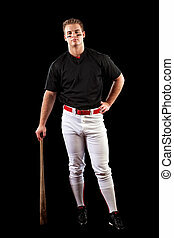 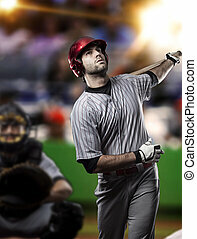 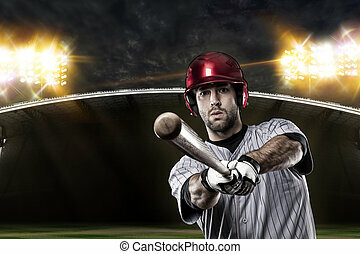 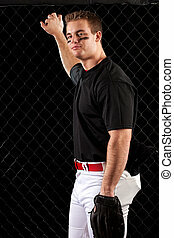 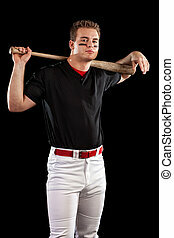 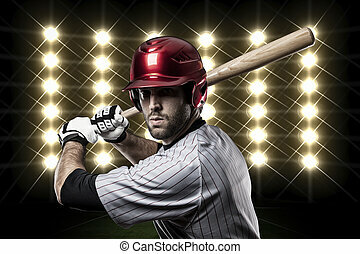 Baseball Player in front of lights.